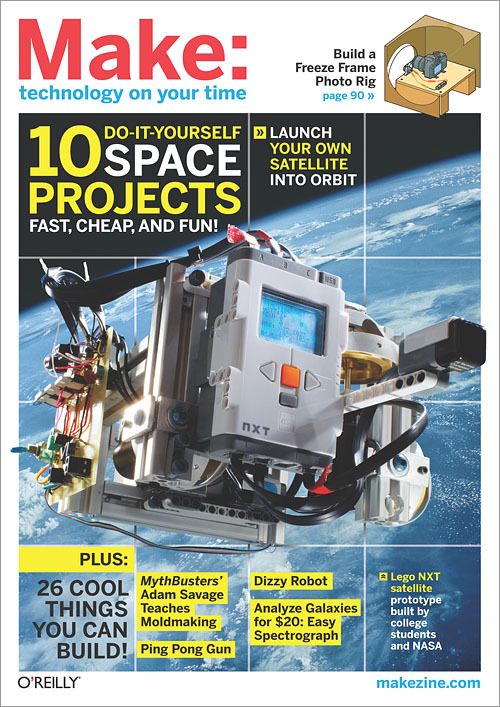 MAKE blasts into orbit and beyond with our Space Exploration issue. DIY satellites! Radio telescopy! Sub-orbital rocketry! Renegade NASA hackers! Bouncing signals off the moon! Of course, as usual, we've got a full payload of other cool DIY projects to keep you busy while your computer joins in the search for signs of extraterrestrial intelligence.